Early registration is advised as this is a coaching event and coaches need to be booked in advance. A last minute surge in registrations could result in entries being treated on a case by case basis and will only be received if there is a vacancy in your coaching group. Entries will close on July 1st, but it would be helpful to have your registration around June 16th. 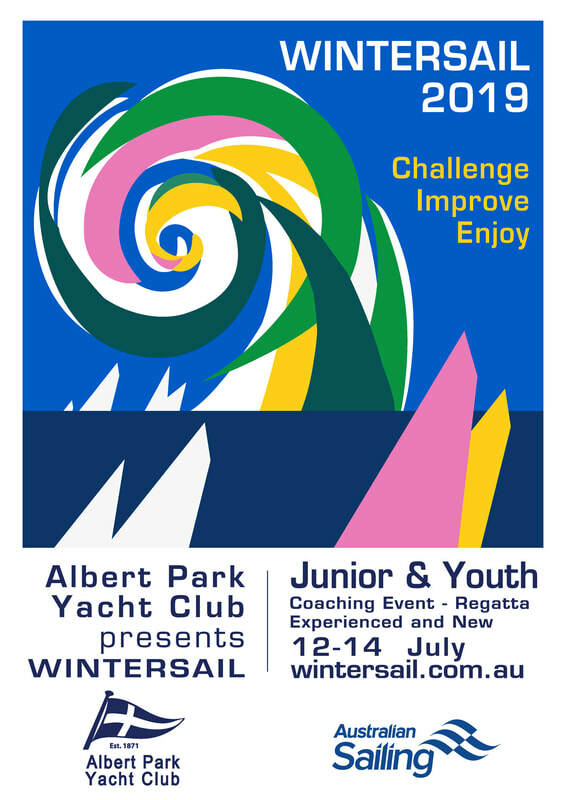 Wintersail is a coaching regatta for junior sailors. You will receive dedicated and personalised coaching from team of qualified Australian Sailing coaches under the leadership of our Head Coach, Glenn Collings. Wintersail aims to improve and develop sailing and race skills. Coaching groups will be kept at a size, which will facilitate individualised attention. The venue for Wintersail provides the sailor with a winter sailing experience that is never far from a warm clubhouse. There will be space for your boat, your family, easy parking at a reasonable price and plenty of food. Don’t have a boat? Boats can be hired from APYC, and most classes have a charter policy. E.G. Optimist, Open Bic and Pacer’s. Free winter membership* at APYC comes with your registration (see below). ​​Each Entry incurs a 30c TryBooking Booking Fee. *Free winter membership at APYC applies to you on registering for WinterSail 2018. So once you have registered you can enjoy sailing at APYC during winter. APYC sails right through the winter and races for all classes and green fleeters are set. (Rack fees will apply if you want to leave your boat and some other fees may apply if you are not a registered with Australian Sailing). ​As this is a coaching event, the coaches need to be booked in advance. Entries are limited, so please ENTER EARLY. Entrants must have their own boat or access to one for the three days. Boats maybe delivered to Albert Park Yacht Club on Thursday 11th July between 5pm and 8pm. Saturday afternoon after sailing there will be a sausage sizzle - FREE to all WinterSail entrants. 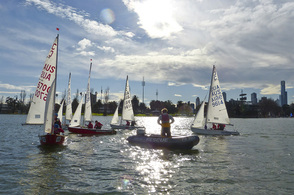 Twenty-eight junior sailors spent three days sailing on the challenging waters of Albert Park Lake in light shifty southerly to gusty fresh northerly winds. Glen Collings, the head coach, led an excellent young team of coaches. Glenn is a past world champion sailor and an educator and he and his team of Stephen, Georgia, Liam, Morgan and assistant coach Meilin provided excellent training and education. Our youngest sailors, 6 and 7 years old, courageously persevered in the conditions. The sailors had five sessions of 2.5 to 3 hours with their coaches. It was good to see the sailors chasing oversize tennis balls, rounding marks set tightly together, getting their boats going when in a two or three knot of wind – sometimes no wind, competitively sailing around Gunn Island following their coach’s RIB, and coming ashore smiling and hungry. Both Green fleeter's and experienced sailors went away with improved skills. Thanks to the parents and grandparents who supported the junior sailors. Albert Park Lake is a wonderful water to sail on during the cold winter, as the warm clubhouse is never far from sailors who have got too wet or cold. Its shifting winds and various wind shadows demand much of sailors’ skills. It is a great water to learn sailing skills in a safe environment. This was the 18th year of WinterSail and the Yacht Club regards it as an honour to run this coaching-regatta and is already thinking of July 7th – 9th 2017. Put it in your diary – it will be better.